If the milk has gone bad or the lettuce is crisp with frost, then the temperature has gone rogue in your refrigerator. Adjusting the temperature of the large appliance that normally hums along just fine most days is a fairly easy endeavor. 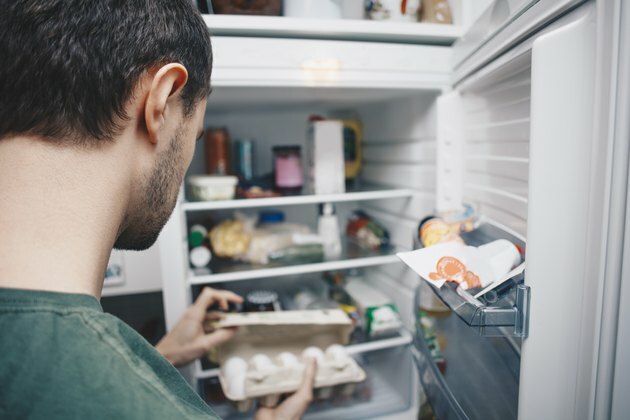 Before taking a wild guess as to what could be wrong, take the time to troubleshoot why your refrigerator is making the compartment either too hot or too cold for the products inside to be stored safely. When a refrigerator isn't functioning properly, it might not be the appliance's fault that it can't meet its full potential. Dust and debris can clog the back of the refrigerator, making the machine work harder than it needs to. Pull the refrigerator from its nook so that you can easily access the back of the appliance. If dust or grease buildup is obvious, take a damp rag and wipe the vents and visible lines free from dirt. Once dry, vacuum the compressor and the coils that are hidden beneath the fridge. Remove any panels with a screwdriver. If there are quite a few little parts, label them as you remove them. 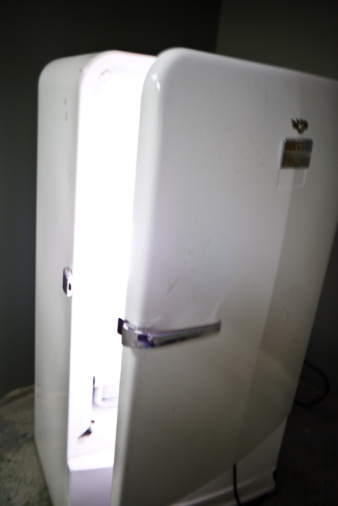 This will help to get the refrigerator back in one piece as quickly as possible. It may seem to run hot or cold, but how do you know for sure that the refrigerator isn't functioning properly? The refrigerator should run between a cool 35 and 40 degrees Fahrenheit. The freezer works at its optimal best between 0 and 5 degrees Fahrenheit. You can find the temperature control at the front and top of both the freezer and the fridge. If the temperature control isn't readily visible, look for the control panel and look for a sensor bulb. Unplug the appliance and clearly mark any wires that go into the temperature control switch. Carefully remove the switch and the tube, and replace the parts with the correct ones from the manufacturer. If the switch and tube are fine, and the controls inside the refrigerator are set properly to give you the best temperature to keep food safe, then it could be the gasket if the fridge is still running too hot or too cold. Check the sealant around the door or doors. If you have a double-sided refrigerator with a freezer on one side and the fridge on the other, both sealants need to work well for the side-by-side appliance to operate correctly. Check that nothing is stopping the door from closing at the top of the appliance or in the door compartments.